Dr. Sharon Feeney is the Head of Learning Development in the College of Business at the Dublin Institute of Technology, Ireland. She graduated with a B.Sc (Hons) in Psychology from the Open University in 1999, an M.Sc in Work and Organisational Psychology from Dublin City University in 2001 and she earned her doctorate degree in 2014 from The University of Sheffield. Her thesis (“Institutional Quality Review in Higher Education in the Republic of Ireland and Northern Ireland: a Comparison of Two Approaches”) examined the origins and processes of institutional level quality reviews in Irish higher education institutions. 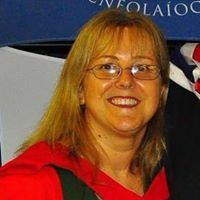 She has worked in the higher education sector since 1991 in numerous roles, including quality assurance officer, lecturer (in corporate strategy; organisational behaviour; behavioural science; public policy; international management; and other management modules), and most recently as Head of Learning Development. Dr. Feeney’s research interests focus on higher education policy at the institutional, national, and international levels, with particular emphasis on quality systems, programme and institutional evaluation, and qualifications and awards frameworks. She is currently involved in research projects which focus on learning and teaching methods in higher education. Dr. Feeney has consulted on and developed, reviewed and implemented policies at institutional level in higher education institutions in Ireland, Russia, Oman and Egypt over the past 15 years. She is the director of programmes delivered to the Irish Air Corps and Simon Community (a non-profit for homelessness). She has been an invited speaker, as an expert on Quality Systems in Higher Education and Qualifications Frameworks, at Conferences of University Deans/ Rectors in Nizhny Novgorod, Russia; in Sofia, Bulgaria; and in Beijing, China. In addition, she has lectured to Irish students in the Alma Graduate School, University of Bologna; Irish College, Louvain, Belgium; ITI, Cairo; Pharos University, Alexandria, Egypt; and the University of Life Sciences, Prague, Czech Republic. Dr. Feeney has published in numerous journals and edited volumes, and has presented her work on higher education and policy development at conferences around the world.